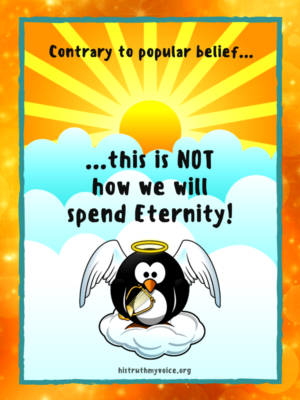 Salvation: Do We Have a Choice? For all of the discussion and arguments provoked by these subjects, though, not much in the way of a consensus seems to have been reached. I believe this is primarily due to the fact that proponents on both sides of the issues have often failed to interpret the verses supporting their positions within their immediate contexts, as well as within the overall context of the scriptures. However, I believe that once they have been interpreted with a proper understanding of God’s overall purpose for man, and with a clear definition of the terms involved, we will find that these concepts are not all that difficult to grasp and that most, if not all, of the confusion can be eliminated. 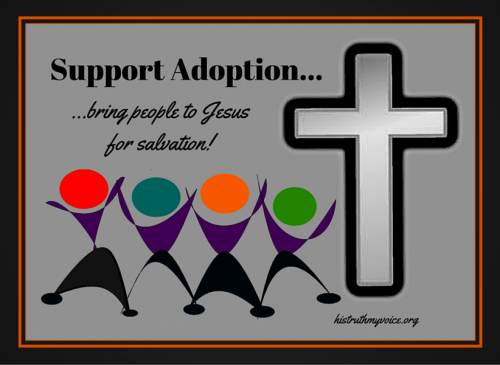 In Ephesians 1: 4-5: He chose us in Him before the foundation of the world, that we should be holy and without blame before Him in love, having predestined us to adoption as sons by Jesus Christ to Himself. In Romans 8: 29: For whom He foreknew He also predestined to be conformed to the image of His Son, that He might be the firstborn among many brethren [brothers]. – To obtain an inheritance—that is, as legally adopted sons and as spiritually conformed sons, to inherit the estate of our Father. This inheritance was secured for us through the death of Jesus Christ, and is an inheritance which we will receive upon our own deaths. 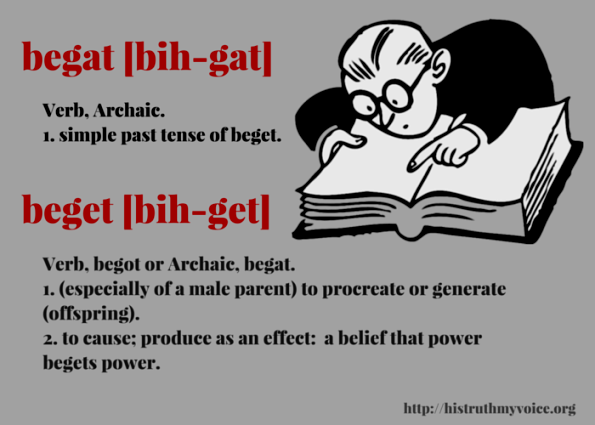 …pre—meaning before + destine—meaning to set apart (or intend) for a certain purpose. – To inherit the riches of the Father. But how did He accomplish this? First, God pre-designed us for our destiny by the way in which He originally created us; and second, through His plan for our re-creation, or Salvation. – As a moral being with the capacity to distinguish between right and wrong, like God. However, when the first man, Adam, was seduced by Satan, he failed the first test of “Sonship” which was obedience to the Father. 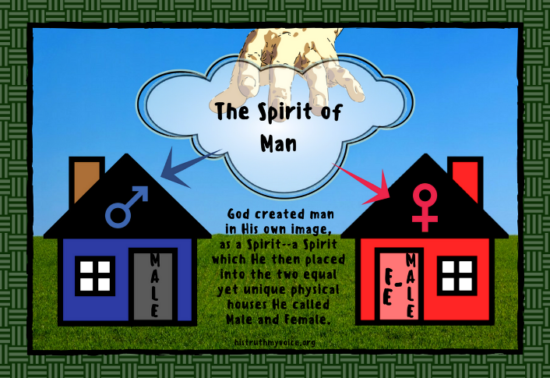 As a result, man’s spirit, the means by which he communicated with God, died; and, without the spirit to give godly direction to his personality, man became a slave not only to his fleshly desires but a slave to Satan as well. When God’s intended “sons” became slaves to sin and Satan, He put into effect the second part of His plan for our Predestination—that is, His plan for our re-creation or Salvation. 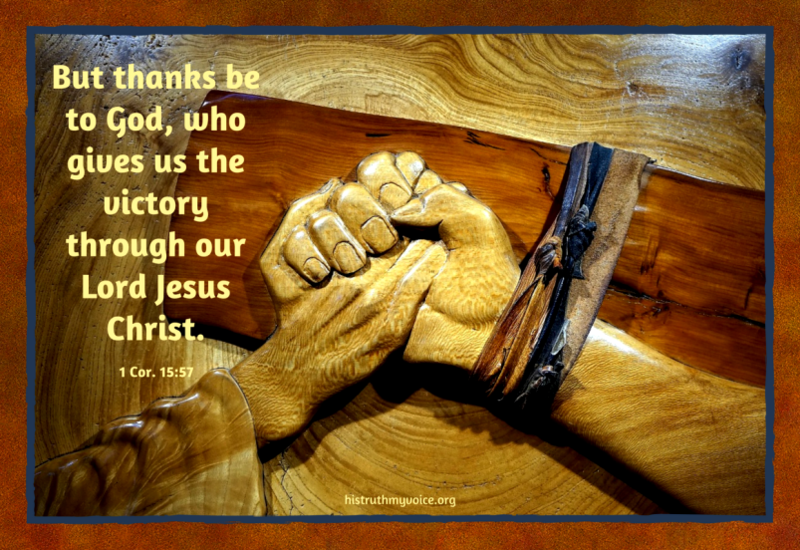 Through the substitutionary and sacrificial death of Christ on the cross, God provided the means by which we could be regenerated, justified, and redeemed from the curse, penalty, and power of sin. Then, through the work of the Holy Spirit, He provided the means by which we could be drawn to God, convicted of our need to be saved, converted from sinners into “sons” of God, and sanctified, or set apart for the holy purposes of God. 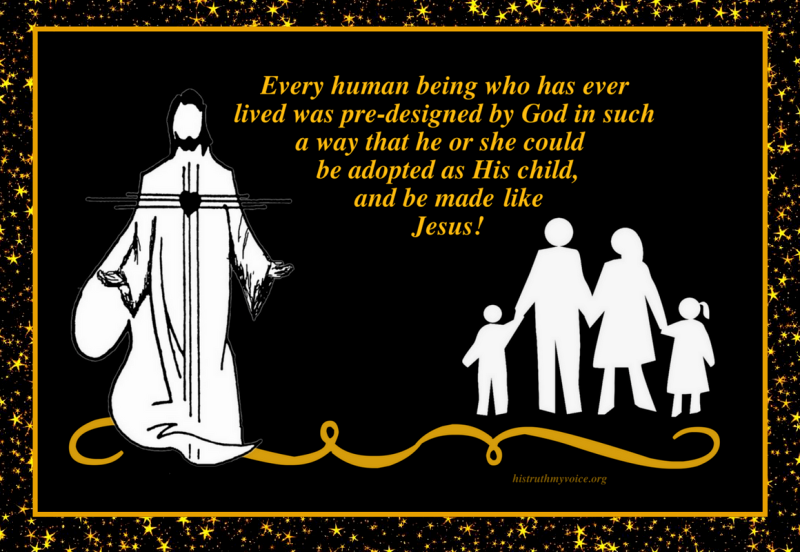 As you can see, every human being who has ever lived has been predestined—or designed beforehand—for the glorious destiny of becoming a child of God, just by virtue of the way He was created by God. However, because we are all sinners and have fallen short of the glory of God’s intention for us, not everyone will realize that destiny—and this is where election comes into play. John 3:14-16: And as Moses lifted up the serpent in the wilderness, even so must the Son of Man be lifted up, that whoever believes in Him should not perish but have everlasting life. For God so loved the world that He gave His only begotten Son, that whoever believes in Him should not perish but have everlasting life. Joel 2: 32 and Acts 2:21: And it shall come to pass that whoever calls on the name of the Lord shall be saved. 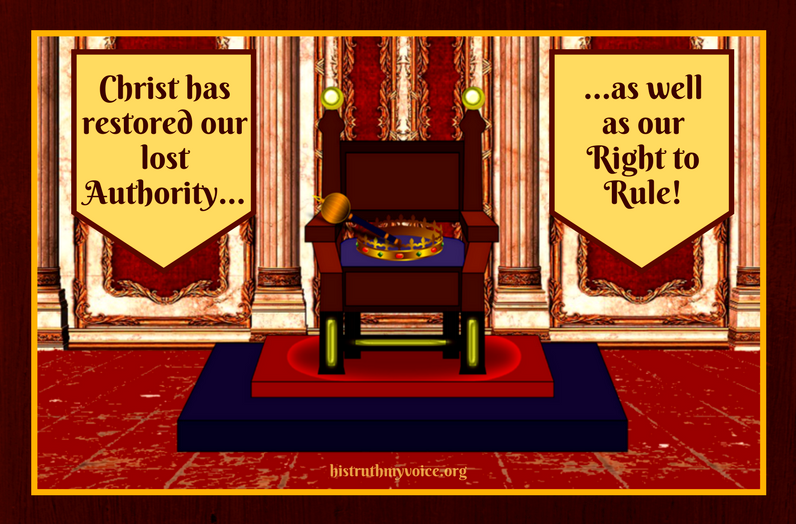 So, if the members of the Godhead are not the Ones doing the voting, that must mean that the ones who are making the choices are the humans involved. 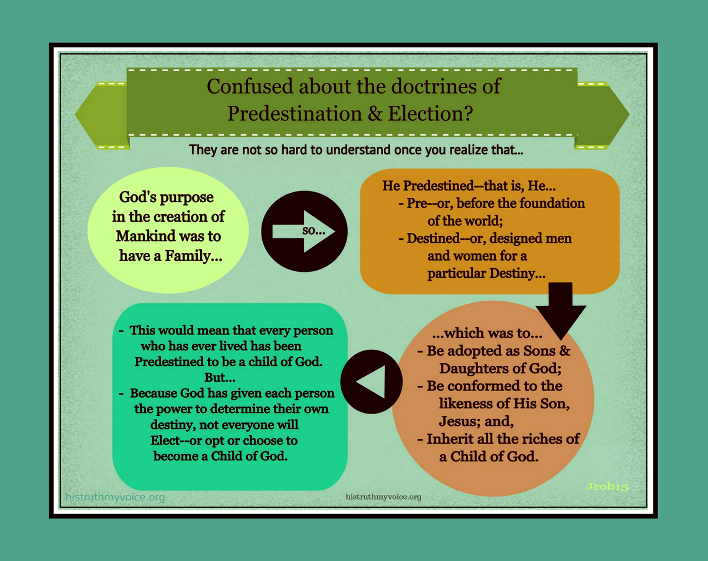 In other words, although God has predestined, or pre-designed, every human being to become a member of His family, the responsibility for electing, or choosing, to do so rests with the individual. The conclusion that we must come to is this: that God, in His foreknowledge, knows who will and who will not elect to become His children, but He does not do the electing for them. Man, having been created in the image of God, with the capacity to choose and a will to exercise, is not only given the opportunity but also the responsibility to choose where, and with whom, his spirit will spend eternity. Now that we have been strengthened by this understanding of God’s purposes through Predestination and Election, we are ready move on, more fully prepared to take on our next challenging exercise—which is, the question of whether or not we can lose the Salvation that Christ died to give us. 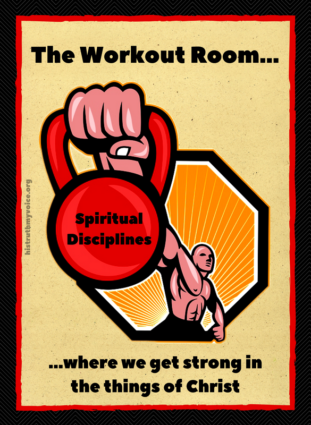 Posted in Biblical Reflections, Christian Living Reflections, Predestination and Election Reflections, Salvation Reflections, Workout Room Reflections. Tagged Election, Faith, God, Grace, Holy Spirit, Jesus Christ, Predestination, Redemption Reflections, Salvation, Saved. 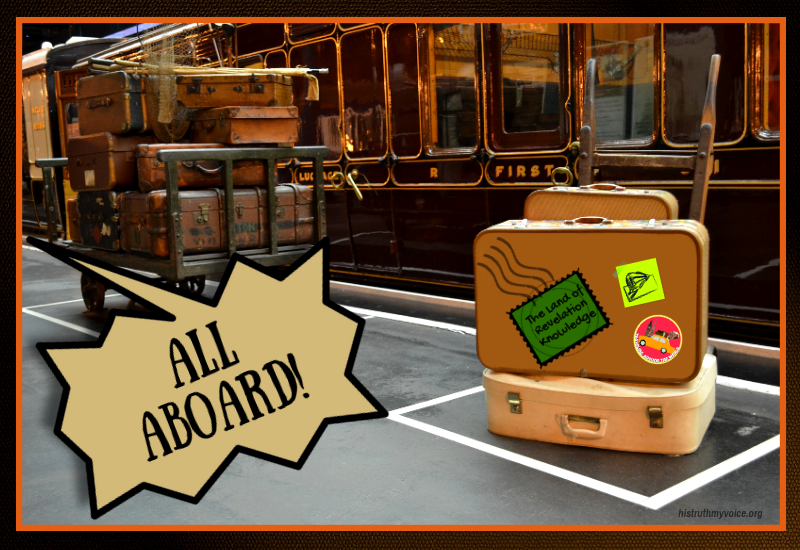 In anticipation of our soon-to-begin Vignette #8, let’s take a few minutes to review the situation that poor Noah was in when our last Vignette ended. 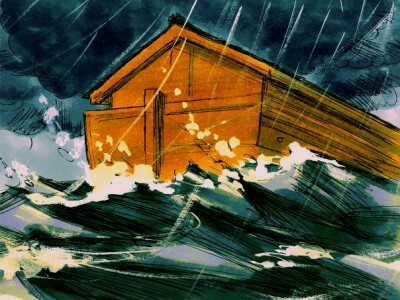 As you may recall he, his immediate family, and a large number of animals were locked up in the Ark—the really big boat he had built at God’s direction—and were floating around on what must have seemed like an interminable sea. This massive ocean had come into being (perhaps I should say it had come back into being) when God released onto the earth the waters which had been stored above and below it at the beginning of creation; an action which eliminated nearly every trace of His original creative work and restored the earth to its initial state of primordial chaos. God, what happened to You—where did You go? Did You forget about us? We haven’t had a word from You in 150 days. Given the ordeal that we have just been through, couldn’t You have made an appearance every once in a while to give us an update on what has been going on outside of this boat? Speaking of these 150 days, when I first signed on for this venture, I was led to believe that it would only last for 40 days and 40 nights—roughly six weeks and not the five months which it has become. As You well know, I have already invested a good part of my life, not to mention all of my material resources, in this undertaking; so I don’t think it is asking too much for You to have been a little more upfront about the actual terms of this contract—especially when You know how much I value having a clear “Definition of Terms” laid out for me, with no contingencies hidden away in the fine print. You see, if I had only known in advance how long this confinement was going to last, I would have packed a lot more clothes and brought a lot more scrolls to read; plus, the boys could have brought along some of their musical instruments to help break up the boredom. During the 40 days that the Deluge was in progress, we at least had the sound of the wind and the rain, not to mention the on-going underground rumblings and convulsions to listen to. But for the past 110 days, there has been NOTHING to break up the sound of dead air and the monotonous drone of water sloshing up against the hull of the boat. 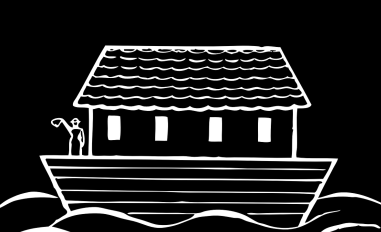 Because of the foresight that You gave us, we knew to incorporate cisterns into the design and construction of the Ark and, during the forty-day downpour, we were able to collect and store a great deal of rainwater in them. However, since the rain ended—and since we have been confined on board a lot longer than I had originally planned for—we have been unable to replenish our supplies. In light of this, and not knowing how much longer we will be afloat, it seems that the wisest course for us to take now is to initiate a water rationing program for the duration of this trip. Of course, the rationing of our water will mean limiting the number of baths we can take and the amount of laundry we can do–plus, it will make keeping this huge vessel clean virtually impossible. When you consider that we haven’t had a really good breeze through here since the rain stopped, and with odor from the animals wafting up from the two lower tiers of the Ark to add to our aroma, the atmosphere in the upper tier where we are living will, no doubt, soon become rather rank. By the way, about the animals, we are very grateful that once they were settled in their darkened cubicles and the boat started rocking back and forth, they all seemed to drift off into the deepest and most extended period of sleep imaginable—in fact, they are all still sleeping. I just can’t imagine how we would have ever fed them all, plus dispatched all of their pooh, had they been awake all of this time! As for our food, we have been eating nothing but grains and dried fruit for the past five months and, to put it bluntly, we are getting pretty sick of it. There are only so many ways these foods can be prepared—especially when you consider that, due to safety concerns, we cannot light a fire over which to cook them. Mrs. Noah has done her best to be creative but really, our menu is getting awfully tiresome and, after all of this time, it is starting to taste a little stale. 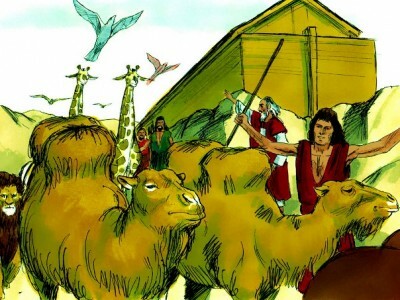 But God remembered Noah and all the beasts and all the livestock that were with him in the ark. And God made a wind blow over the earth, and the waters subsided. The fountains of the deep and the windows of the heavens were closed, the rain from the heavens was restrained, and the waters receded from the earth continually (Gen. 8:1-2). …At the end of 150 days the water had abated, and in the seventh month, on the seventeenth day of the month, the ark came to rest on the mountains of Ararat. And the waters continued to abate until the tenth month; in the tenth month, on the first day of the month, the tops of the mountains were seen (Gen. 8:3-5). We then watch as Noah, after waiting another forty days, opens the window of the Ark and sends out a raven which, rather than returning to the Ark, flies back and forth over the waters until they are dried up off of the earth. 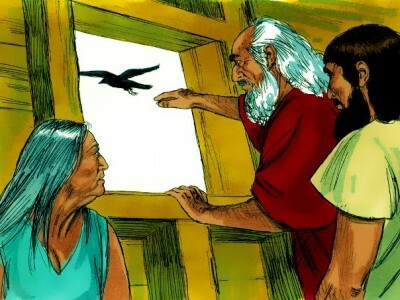 Noah also sends out a dove at this time but, when she can find no dry place to land, she returns to him in the Ark. Undaunted, seven days later, Noah tries the same thing again, only this time the dove comes back to him in the evening with a freshly plucked olive leaf in her mouth. While this lets Noah know that the waters have subsided, ever patient, he waits another seven days before sending out the dove again. This time, however, she does not return. …in the six hundred and first year, in the first month, the first day of the month, the waters were dried up from off the earth. And Noah removed the covering of the ark and looked and behold, the face of the ground was dry. 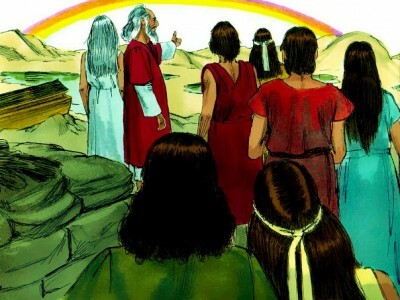 So [after spending 370 days in the Ark] Noah went out, and his sons and his wife and his son’s wives with him. Every beast, every creeping thing, and every bird, everything that moves on the earth, went out by families from the ark (Gen.8:13-19). I will never again curse the ground because of man, for the intention of man’s heart is evil from his youth. Neither will I ever again strike down every living creature as I have done. While the earth remains, seedtime and harvest, cold and heat, summer and winter, day and night shall not cease (Gen. 8:21-22). Be fruitful and multiply and fill the earth…be fruitful and multiply, teem on the earth and multiply in it (Gen. 9:1, 7). The fear of you and the dread of you shall be upon every beast of the earth and upon every bird of the heavens, upon everything that creeps on the ground and all the fish of the sea. Into your hand they are delivered. Every moving thing that lives shall be food for you. And as I gave you the green plants, I give you everything. But you shall not eat flesh with its life, that is, its blood. And for your lifeblood I will require a reckoning: from every beast I will require it and from man. From his fellow man I will require a reckoning of the life of man. For…whoever shed the blood of man, by man shall his blood be shed, for God made man in his own image (Gen. 9:2-6). …never again shall all flesh be cut off by the waters of the flood, and never again shall there be a flood to destroy the earth. This is the sign of the covenant that I make between me and you and every living creature that is with you, for all future generations: I have set my bow in the cloud, and it shall be a sign of the covenant between me and the earth. When I bring clouds over the earth and the bow is seen in the clouds, I will remember my covenant that is between me and you and every living creature of all flesh. And the waters shall never again become a flood to destroy all flesh. When the bow is in the clouds, I will see it and remember the everlasting covenant between God and every living creature of all flesh that is on the earth. 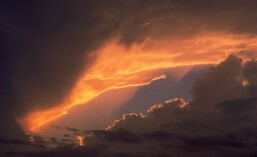 This is the sign of the covenant that I have established between me and all flesh that is on the earth (Genesis 9-17). 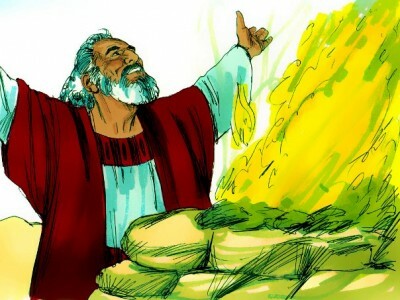 Biblical illustrations courtesy of http://www.freebibleimages.org/. Posted in Biblical Reflections, God's One Big Story Reflections, Redemption Reflections, Salvation Reflections. Tagged Ark, Bible, Bible Story, Christianity, Faith, Flood, God, Noah, Redemption Reflections, Salvation. Wednesday’s gift in celebration of His Truth, My Voice’s second birthday is a replay of my favorite teaching video, “The Bible: The Story Behind the Bible.” I originally created this as a PowerPoint presentation to be used in my Bible Studies and then later converted it to a video. If you have ever wondered what the Big Story of the Bible is, then this video should help explain it to you. Posted in Miscellaneous Reflections. Tagged Bible, Bible Story, Christianity, God, Jesus Christ, Redemption Reflections, Salvation. Try to imagine with me, if you can, what human history might look like to God, as He surveys it from beginning to end. From the prophetic insight given to us by Isaiah in the passage above, it seems quite likely that God would view it as a forest of trees, one stretching all the way from the Garden of Eden to the coming Paradise in the new Heaven and Earth; trees which, in His eyes, are representative of the countless lives of men and women throughout history who have been made righteous by the blood of His Son, Jesus Christ. As plantings of God, they have come in every size and shade imaginable, yet they have all produced the same desired fruit of holiness by which the Lord God, the creator and sustainer of all the earth, will forever be glorified! What a truly satisfying picture this would be for God to behold; nothing less than a magnificent tapestry depicting His marvelous and ages-long redemption; an intricately woven work of art designed to surround His throne and to testify of His unfathomable love, grace, and mercy for all eternity. 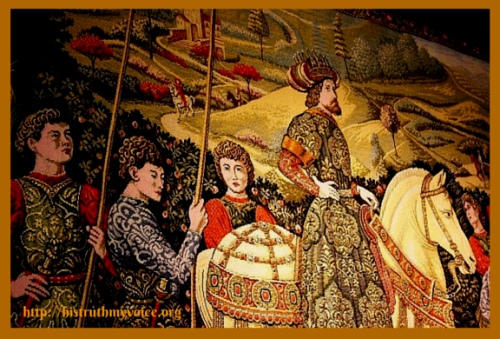 Although some may not be all that familiar with tapestries, they have been around for quite a long time, with some known to have been in use as far back as the ancient Grecian era. Similar in texture to carpets, but hung on walls instead of covering floors, tapestries have served as portable murals for centuries, often gracing the throne rooms of kings as ways of depicting the memorable events or victories that have taken place during their reigns. Typically, tapestries are woven on vertical looms, or large wooden frames, that hold two sets of threads—the longer set being the stationary, immutable threads running lengthwise which are called the “warp,” with the shorter set being the variable threads running width-wise which are called the “weft.” The threads making up the warp are held in place under tension by the two sturdy frames at the end of the looms; while the shorter and discontinuous weft (threads) are woven in and out of part or all of the warp to create the design of the tapestry. With this imagery in mind, let’s now try to imagine how such a weaving process might be applied to the story of God’s redemption. 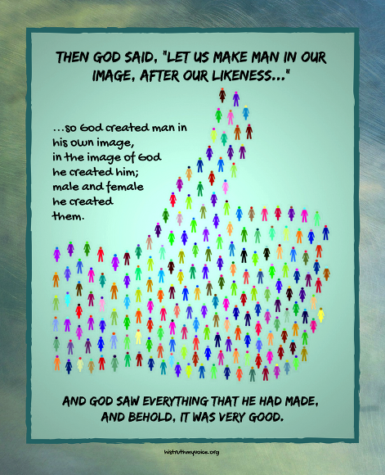 To begin, let’s close our eyes and try to visualize an enormous loom being set into place by God when, “In the beginning…,” He bracketed the timeline for His redemptive story through the placement of two sturdy frames, one marking the beginning and the other marking the ending of human history. 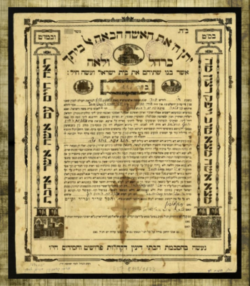 Having already discussed these at great length during many of our previous visits, we should be quite familiar with the two wooden frames by now; for they are the two trees that man was given to choose from in the Garden of Eden. The tree that was chosen, the Tree of the Knowledge of Good and Evil, in its choice, became the beginning frame for the tapestry; while the tree that was rejected, the Tree of Life, took its place as the end frame—the frame toward which all of the design work was to be directed. Given the enormous distance between these two frames and the incredible number of events that the design of this tapestry was meant to depict, we should not be surprised to learn that an additional piece of wood had to be inserted at the midpoint of the loom in order to secure and support the weight of the weaving work which would be taking place upon it. 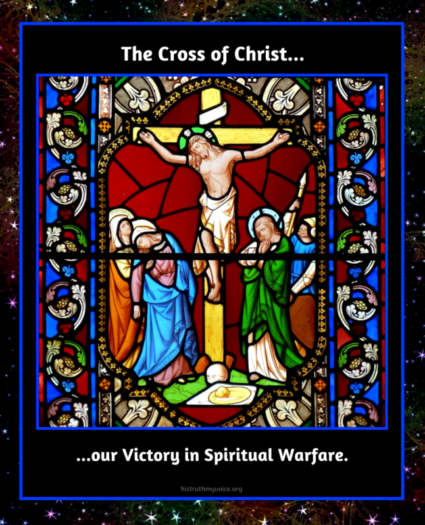 This plank was a tree, too, and one that we have also already discussed; for it was the Cross on which the Son of God was crucified; the lifeless tree which, throughout time, has served as the embodiment of all of mankind’s dead works and futile attempts at self-salvation. – The fear of the Lord is clean, enduring forever, the rules of the Lord are true, and righteous altogether (Ps. 19:7-9). Given the nature of these laws, what better foundation for redemption could have been laid, other than these? With God’s laws now securely attached to the frames of the loom, the really intricate work on the tapestry can begin to get underway. 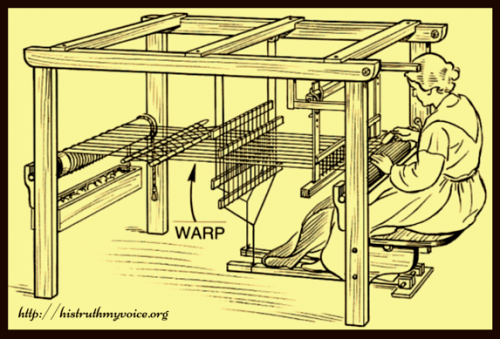 What makes this part of the process so tricky is that before the weft (threads)—or those short and variegated “loose threads”created by humanity’s failures to measure up to the standards of God’s laws—can be woven over and under that holy warp, they must first be tied to the crimson cord that runs through the entire length of the tapestry’s design. This cord was introduced into the human story immediately following man’s first violation of God’s command and, as the cord of redeeming faith, it went on to connect every image in the story, from the beginning frame at the Tree of the Knowledge of Good and Evil, all the way to the Cross, and then on to the end frame at the Tree of Life. Of course, this cord was none other than our blessed Redeemer, Jesus Christ; the One who was promised, the One who came, and the One who will come again—and, the only One capable of salvaging all of the threads left dangling by the sins of mankind and then incorporating them into a beautiful and eternal work of art for all to behold. And how was He able to do this? By dying the death that should have been ours, on the tree representing all of our dead works, He was able to remove sin’s curse, and open the way to the Tree of Life once more, to any and all who would believe. – the fruit that was produced whenever fear was overcome by faith, darkness was overcome by the light, and the flesh was overcome by the Spirit. Try to imagine with me, if you can, the kind of joy a sight such as this would bring to the heart of God. 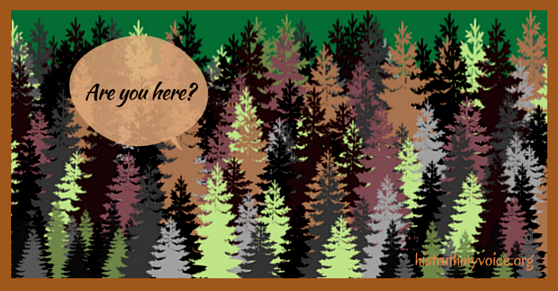 When, at the end of time, God scans His forest of trees, will He find you there? Will you be a part of His tapestry of redemption—one of His oaks of righteousness, a planting of the Lord, that He may be glorified? If not, can there possibly be a good reason why not? Posted in Miscellaneous Reflections. Tagged Birthday, Christianity, Faith, God, Jesus Christ, Redemption Reflections, Salvation, Tapestries, Trees. This Vignette, number five of the nine which make up Act 1, Scene 1 of God’s One Big Story, covers the material found in Genesis 5; a chapter which introduced us to the descendants of Adam though his son, Seth. It should be noted here that Cain’s descendants, as the rejected line, were introduced back in Vignette #4 and, following their brief moment in the spotlight, they moved to their proper place at the rear of the stage. Now, as for how we will conduct our search for truth in Seth’s line of begats, it will be done by analyzing the People, Patterns, and Precedents that were presented to us in the course of this Vignette. An important thing for us to remember, when coming to this first genealogical list in the Bible, is that all of these funny sounding and sometimes hard to pronounce names belonged to real people, living in real time, and doing life in very real ways. They were people who had to work for a living, who had to find and make homes for themselves and their families, who had to learn to relate to the other people around them—however difficult they may have been, and who had to learn to cope with the raising of children—many, many children, in fact. 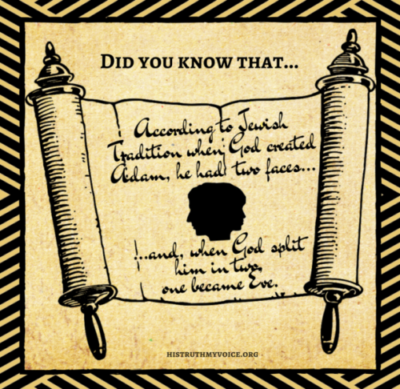 Because they were all descended from Adam, this meant that they were all members of the same family—with everyone, at any given time, having to fill the roles of mother or father, brother or sister, aunt or uncle, niece or nephew, or grandparent or grandchild to someone else. What a relationship nightmare that must have been! However, there was more to being a descendant of Adam than merely belonging to the same huge physical family; it also meant being members of the same huge spiritual family. Since each one had come into the world bearing the image and likeness of Adam, this meant that they, like he, were all sinners in desperate need of redemption. Even though not all of them would go on to acknowledge this need in their lives, the ten that did were lined up across our stage—with one representing each of the ten generations from Adam to Noah. As the men who held on to their faith in God, and to the promise He had made to Eve concerning a coming Redeemer, they, as the members of the Antediluvian Spiritual Hall of Fame, were the ones who kept the promise and the lineage of that Redeemer alive all the way to and through the Flood. Of these ten, there are four—Seth, Enoch, Methuselah, and Noah–who merit special recognition; something which we will be sure to give them when we get to the Precedents section of this critique. But, even in the face of this all of this wickedness and despair, God repeatedly proves His faithfulness by His on-going preservation of a remnant through whom the Redeemer will one day come. When Chapter 5 opens, it does so by saying, “This is the book of the generations of Adam”—a statement marking out a whole new section in the book of Genesis. 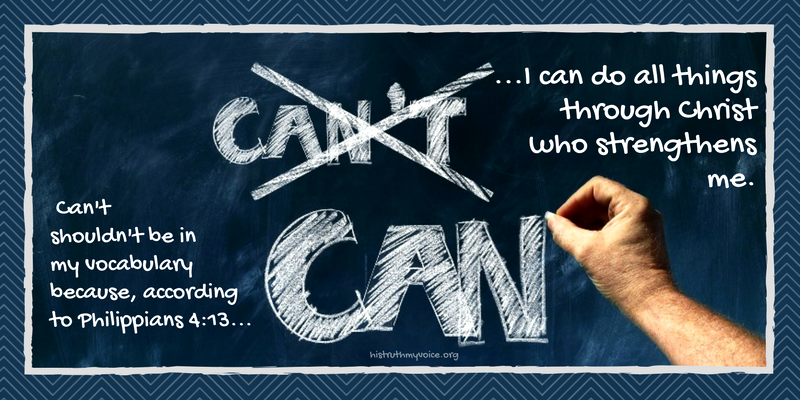 We know that it is the beginning of something new because toledoth, the Hebrew word for generations, is used eleven times in Genesis, and each of those times it is used to designate a break or a transition in the story. But, while a break in the story is significant, it isn’t unusual enough to qualify as a precedent-setting event. For that, we need to direct our attention to sepher, the Hebrew word for book, because its use here marks the first time that a record of human history is made, and that God begins recording a list of the righteous. And I saw the dead, great and small, standing before the throne, and books were opened. 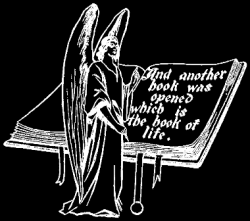 Then another book was opened, which was the book of life. And the dead were judged by what was written in the books, according to what they had done…And if anyone’s name was not found written in the book of life, he was thrown into the lake of fire. From this, we can conclude that the name of every human being who has ever lived will be written in one set of books, along with everything he or she has ever done. In addition to these, there is another set of books, referred to here and in other places as “The Book of Life,” which contains the names of all of those who, through faith, have trusted in God for their salvation. While everyone’s name will be listed in the first set of books, only the names of those who are deemed righteous according to God’s standards will appear in the second set of books—books which had their origins here in Genesis 5. …Adam knew his wife again, and she bore a son and called his name Seth, for she said, “God has appointed for me another offspring instead of Abel, for Cain killed him.” To Seth also a son was born, and he called his name Enosh. 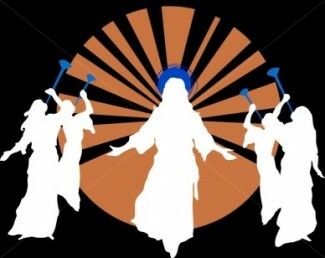 At that time people began to call upon the name of the LORD. Although this passage tells us that men, for the first time, began to call upon God in prayer, it doesn’t explain why this practice became necessary. Was it because, as more and more people were born, worship became less of an individual practice and more of a corporate one? Or, was it because God, in response to the ever-increasing level of wickedness upon the earth, had withdrawn His presence from among the people? Whatever the reason, here in the lifetime of righteous Seth, the practice of prayer had become a necessity and became an established precedent in the lives of godly men. It was also about these [the wicked] that Enoch, the seventh from Adam, prophesied, saying, “Behold, the Lord comes with ten thousands of his holy ones, to execute judgment on all and to convict all the ungodly of all their deeds of ungodliness that they have committed in such an ungodly way, and of all the harsh things that ungodly sinners have spoken against him.” …These are grumblers, malcontents, following their own sinful desires; they are loud-mouthed boasters, showing favoritism to gain advantage…It is these who cause divisions, worldly people, devoid of the Spirit. Although there may have been others who had seen the need for this type of ministry and practiced it before the time of Enoch, it was during his lifetime and as a result of his ministry that the preaching of repentance and the prophesying about judgment became, for us, a Biblically-documented Precedent. …By faith, Enoch was taken up so that he would not see death; and he was not found because God took him up; for he obtained the witness that before his being taken up he was pleasing to God. 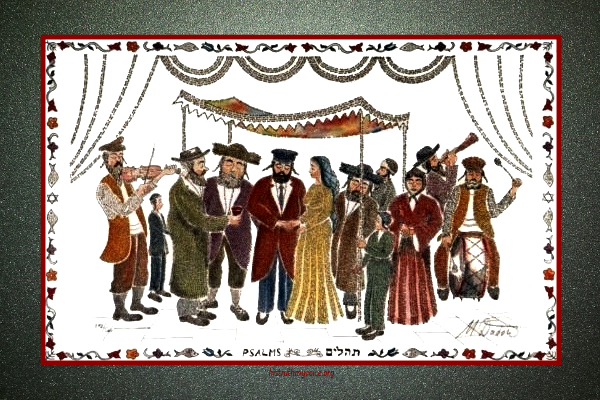 Although another translation from this life to the next, without experiencing death, was realized centuries later by the prophet Elijah, the ultimate fulfillment of the precedent set by Enoch is still to take place at the end of time when, just before the onslaught of an event known as The Tribulation, a global translation or rapture of the Saints from the earth will take place. Just as Enoch was removed from the early world prior to the Tribulation of the Flood, those who are alive and whose names are written in the Book of Life, at the end of time, will also be “taken up” because they, like Enoch, had obtained the witness that they walked with and were pleasing to God. …When Enoch had lived 65 years, he fathered Methuselah, Enoch walked with God after he fathered Methuselah 300 years and had other sons and daughters. Thus all the days of Enoch were 365 years. Enoch walked with God, and he was not, for God took him. …all the days of Methuselah were 969 years, and he died. Although the meaning of Methuselah’s name has not been completely settled for some, many believe that it means, “When he is gone, it will come”—with “it” referring to the judgment of the flood about which Enoch would later prophesy. If so, it could be that Enoch had received a revelation about the coming judgment at the time of Methuselah’s birth; and, if he had, it would only be logical for him to believe that he might only have a short period of time in which to repent. What if his son only lived a year or five years? Not knowing how long a life his son would have would certainly have been reason enough for getting his life right with God as soon as possible—and to begin preaching to others about their need to do the same. Could it be that Methuselah lived longer than other human because God, in His mercy, was trying to give men every opportunity to repent, like Enoch did? It would certainly seem so, for as the second passage tells us, not only did God extend Methuselah’s life longer than any other human being’s, but that the year he died was the same year that the flood came upon the earth. Faithfully protect and provide for His own, through the Precedent of the Preservation of a Remnant through Tribulation and Judgment. It will provide us the assurance that God will either take us out before, or preserve us through, any kind of tribulation or judgment that may come upon the wicked. 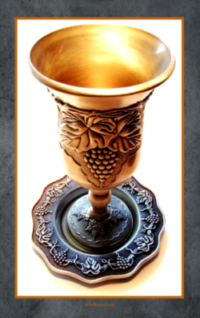 Posted in Biblical Reflections, God's One Big Story Reflections. Tagged Abel, Adam, Bible, Bible Study, Book of Life, Cain, Eve, Flood, Genesis, God, Judgment, Noah, Prayer, Preaching, Prophesy, Rapture, Redemption Reflections, Sin, Tribulation.